Christine is located on BC’s beautiful West Coast, currently living in Greater Vancouver and raised in the sunny Okanagan Valley. She is a novelist, copywriter, designer, and artist. Christine loves writing about places and spaces with rich history and visually fascinating elements as a backdrop for the surreal and spectacular. Her background also includes content and technical writing in the IT world, communications, marketing, blogging, journalism, and employment counselling. 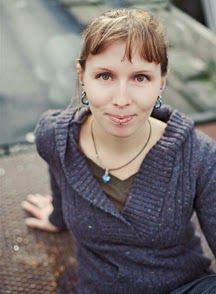 She holds a BA in English and Professional Writing from the University of Victoria. When not writing, Christine also has a habit of breaking stuff and making stuff – in that order – in the guise of her Etsy alter-ego Sleepless Storyteller. She shares her eclectic home and lifestyle with her husband and two children.